Lock in a great price for Borneo Sandakan Backpackers – rated 8.2 by recent guests! The staff was really really helpful and friendly; any question or problem I could possibly have, they would be happy to help. When I checked in my room was ready and the AC had been turned on beforehand for my comfort. There was toast bread, eggs, coffee and tea available for breakfast. The showers were clean and worked without problems (hot/cold regulation, water pressure, these sorts of things). The location is really good, it’s close to grocery stores, pharmacies, restaurants, several travel agencies, etc. (it’s basically in the middle of the touristy stuff - but that doesn’t mean there’s a party going on 24/7, it’s pretty quiet). For the price it’s really top notch and I was 100% happy. Staff was friendly and welcoming. Good location. Spacious room. Nice detail: there was a multi-plug extension cable, allowing the simultaneous charging of all devices. The staff are amazing and are very accommodating.i can't say enough good things about this place. It was my 3rd time returning in 4 years. The location was good right in the middle of downtown. The room was spacious and good had good AC. Nice staff, good size room. Clean. Great location. Good aircon. Nice hostel with extremely friendly and helpful staff. Best hostel we have stayed in. Clean and very friendly staff. Lovely breakfast. Located right in the middle of Sandakan. And all for a great price. They even had printing facilities which was great for us. Loved it! 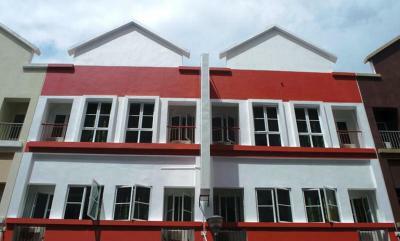 Located in Sandakan Harbor Square, Borneo Sandakan Backpackers features air-conditioned rooms with free Wi-Fi. Offering a 24-hour reception, the hostel serves a simple breakfast daily. Borneo Sandakan Backpackers is a 5-minute walk to Sandakan Harbor Square Mall. Sandakan Memorial Park and Sandakan Airport are both a 20-minute drive away. It takes 1-hour by bus to travel to Sepilok and the Labuk Bay Proboscis Monkey Sanctuary. 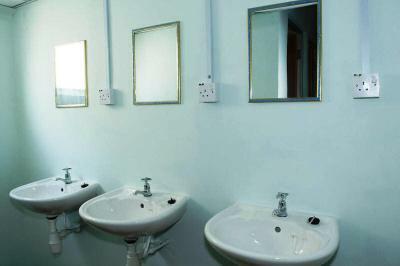 Guests have access to shared bathroom and shared toilet facilities which offer a 24-hour hot shower. Hairdryers and international power adapters are available on request. The hostel offers luggage storage facilities and a tour desk. Available in the hostel’s common areas are a basic kitchen and a flat-screen satellite TV for guests to watch. Airport shuttle services can be arranged on request and charges apply. When would you like to stay at Borneo Sandakan Backpackers? House Rules Borneo Sandakan Backpackers takes special requests – add in the next step! Please note that extra beds come in the form of a mattress and extra charges apply (refer to Policies). Very friendly. Helpful. Near Mall. Really friendly and helpful staff. Good movies to watch when relaxing. Great location. Staff made us great scrambled egg on toast. The sheet on the mattress of double bed didn't fit meaning you spent most of the night sleeping on the mattress - sounds small but very annoying - please get some sheets big enough ! The location was excellent, our room was big and well illuminated.